This bag has been used but is in great condition. 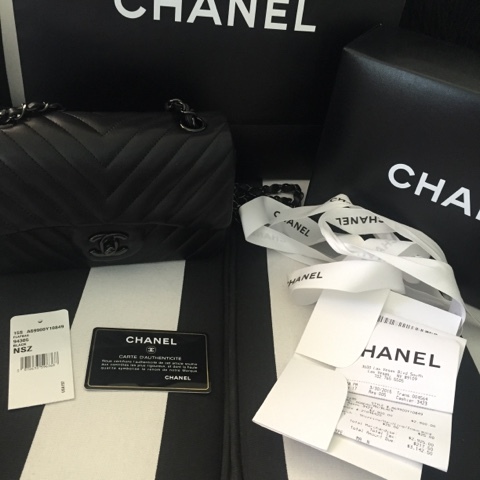 The Chanel "so black" bags are completely sold out and sell for over 3700.00 on other sites including ebay. I still had the stickers left on this bag *on inside zip and back plate of flap. Inside flap has some scratches but this is completely normal. All my lambskin bags have these hairline scratches. This bag is 2900. Plus shipping. Comes with everythg- Box, dustbag, tags, copy of receipt, bow and bag. You can email if you are still interested.